Dear reader here we will learn about foundation size prescribed by international building code when specific design of foundation is not available. The recommended sizes are applicable for both masonry-unit and concrete footing that support wall of this type of construction. The footing depth as per IBC should be at least 305 mm (12 inch) below undisturbed surface on the ground. The minimum width specified is 305 mm. when applicable, frost protection depth have to be considered. Dear reader we discussed about soil that are susceptible to frost damage in our previous posts. In this regard construction according to ASCE 32 is recommended in this CODE. Plain concrete footing is allowed in this code and provided sizes for this type of footing too. 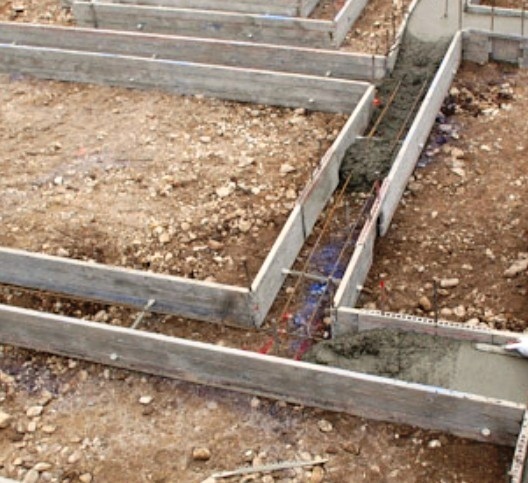 The thickness permitted for plain concrete footings is 6 inch for occupancy group R-3. Here we will learn about occupancy group R-3 as this group is mentioned in both codes. Buildings, not having more than 2 dwelling units. Adult-care facilities which accommodates equal or less than five persons for less than 1 day (24 hrs). There have no age limit i.e. person of any age can be accommodated. Child care facilities which accommodates equal or less than five persons for less than 1 day (24 hrs). Congregate-living facilities which accommodate no more than 16 persons. There should not be any doubt that the code referred to only wall-footing. The ground beneath the floor are allowed to excavate to desired elevation to place and construct footings and necessary precaution should be taken while excavation to avoid any accident and property loss or damages. Dear reader we have discussed about role of geotechnical engineer in excavation operation and also necessary precaution about excavation for cohesive and cohesionless soil. The footing should be allowed to support roof, immediate above it and also stipulated floors. When a footing supports only roof, it should have capability to support one floor only. Interior stud bearing walls should be allowed to support on isolated footings. The footing length and width should be taken from above table but dimensions have to be multiplied by two. There have also spacing limitation-the spacing should be less than 6 foot measured from center of footing.